The La Trobe University Vice-Chancellor's Corporate Golf Day brings corporations and individuals together for a day of golf, networking and fundraising. This is a unique opportunity to promote your brand and network with academics, key industry partners, corporate leaders and other senior executives. Your sponsorship of this event will also help to raise important funds for our student scholarship programs - specifically the La Trobe Elite Athlete Scholarship Program (LEAP). 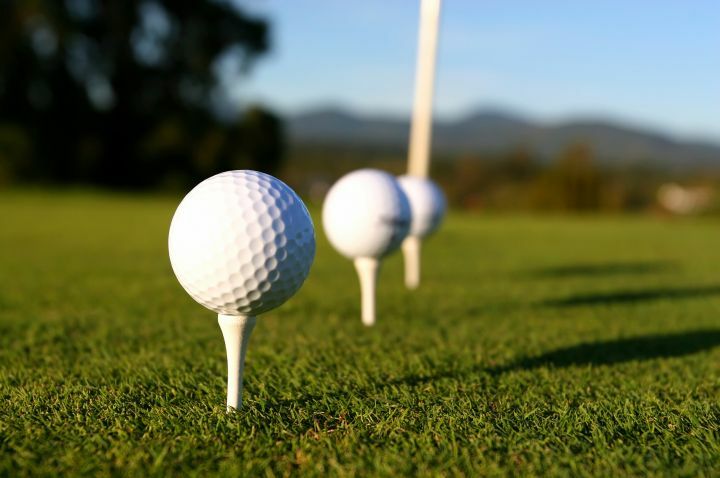 The next Vice-Chancellor's Corporate Golf Day will take place on 25 March 2019 at the prestigious Royal Melbourne Golf Club. By entering a team from your organisation, you can help the University exceed last year’s $90,000 fundraising record and support even more of our remarkable Australian athletes studying at La Trobe. Register and pay today through our online form, or contact alumnievents@latrobe.edu.au for alternative payment options. The opportunity for one team of four to play. Team sponsors will be recognised with table signage and acknowledgement at the post round function. In addition to table signage, team sponsors will be acknowledged as a supporter of the La Trobe Elite Athlete Program (LEAP), specifically the Elite Athlete Support Fund (EASF) which provides annual grants to La Trobe’s elite student athletes towards the costs associated with elite competition. - the opportunity for a key Executive to attend a corporate function with one of La Trobe’s sporting partners, Melbourne City Football Club, Melbourne Rebels Rugby Club or Carlton Football Club. The opportunity for two teams of four to play. The Event Naming Rights partner will share equally in the event Naming Rights alongside La Trobe University. - the opportunity for a senior executive to speak at the post round function.